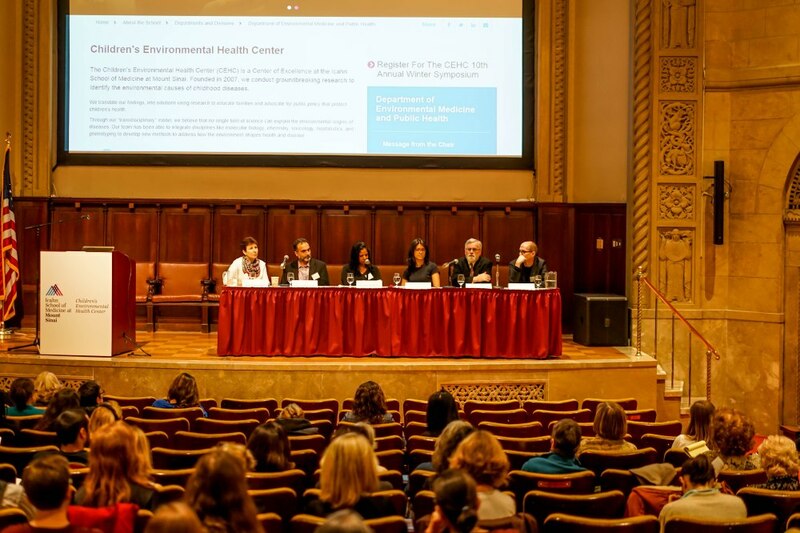 The Children’s Environmental Health Center hosted its 10th Annual Winter Symposium, “Decade of the Developing Brain” on February 24th, 2017 at The New York Academy of Medicine. Physicians and researchers from Icahn School of Medicine at Mount Sinai and the Harvard T.H. Chan School of Public Health discussed how early-life stress can disrupt development and negatively impact long-term health trajectories. The symposium featured talks on environmental and genetic factors and how they contribute to the etiology of autism and neurodevelopment toxicity associated with environmental chemicals. Did you miss the “Decade of the Developing Brain”? Click here to access the presentations, photos and videos. This entry was posted in Feature of the Month on March 10, 2017 by mountsinaitceee.